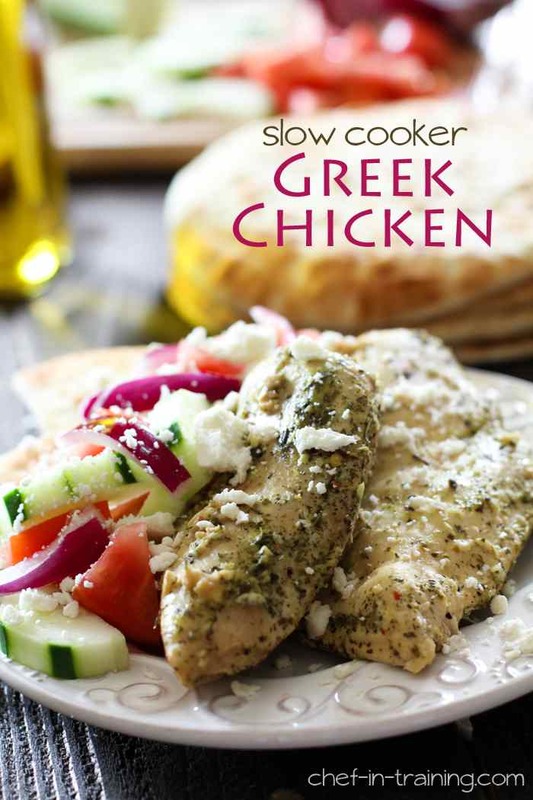 Get the complete recipe for Slow Cooker Greek Chicken from Chef in Training. 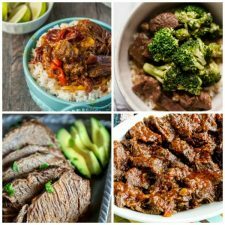 Use the Index Page for International Flavors to see all the international recipes that have been featured on this site. Made this yesterday and loved it!!!! Served with the Greek salad, just like the original post showed. It was delicious. I had totally forgotten to put the chicken in the slow cooker in enough time to have 6 hours on low, as directed. When I remembered, I only had about 4 hours til dinner, so I used a high setting. While the chicken probably would have been even better if I had done it for 6 hours on low – I can tell you that it was amazing for 4 hours on high! Falling apart, delicious flavor- just perfect. So, in a pinch, it's still amazing if you are short on time. I also didn't have greek rub, so I used an italian seasoning blend I had on hand, and added extra oregano. Smelled and tasted greek to me! Amanda; great to know about the shorter cooking time and I'm so glad you enjoyed it!